These stunning Fall Mantel Decor Ideas are absolutely beautiful. When the autumn season starts it is the perfect time to decorate your mantel. If you want the decor to last a little longer – in a way that doesn’t scream Thanksgiving or Halloween, this post is for you. These ideas will inspire you and you will be able to keep the decor for a few months. It is nice to keep the decor for a while, especially for anyone that has plenty of things to do around the house and little time to decorate. 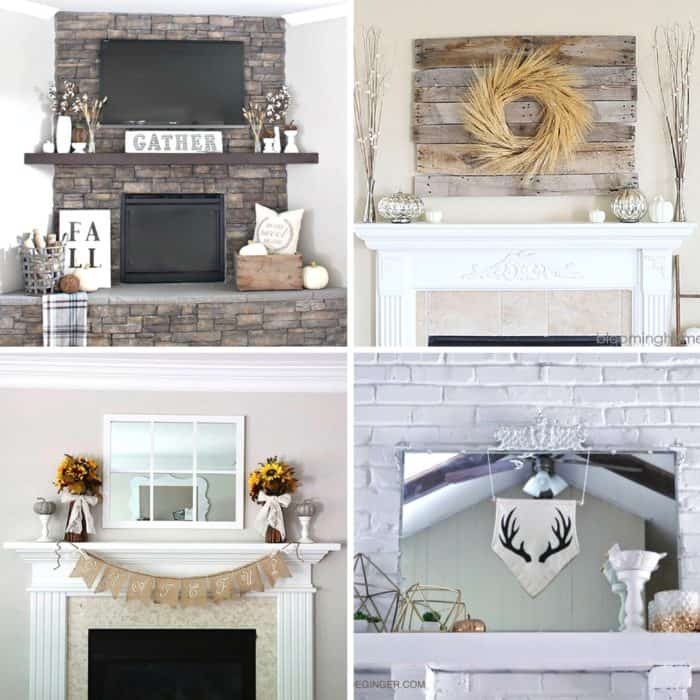 I love the rustic feel of these fall mantel decor ideas. There are so many different styles I’m sure you will find one that fits your home perfectly. 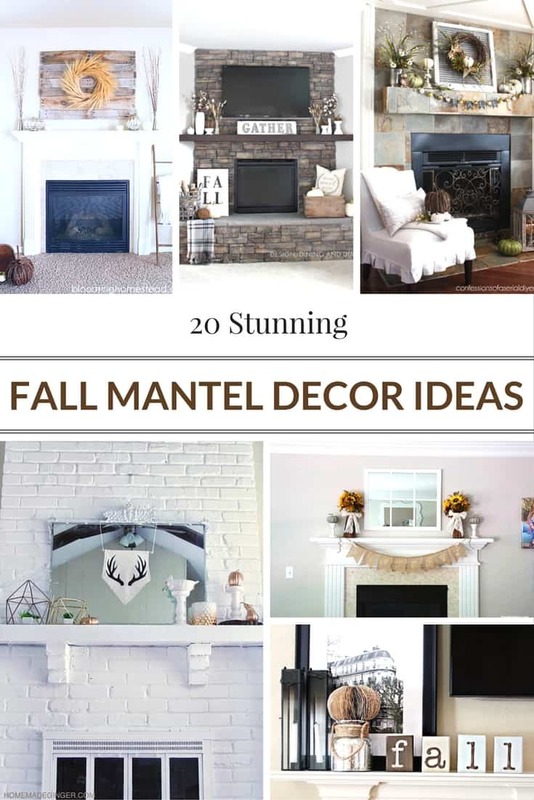 Most of these fall mantel decor ideas are budget friendly, so you can give your home a stunning autumnal vibe without breaking the bank. 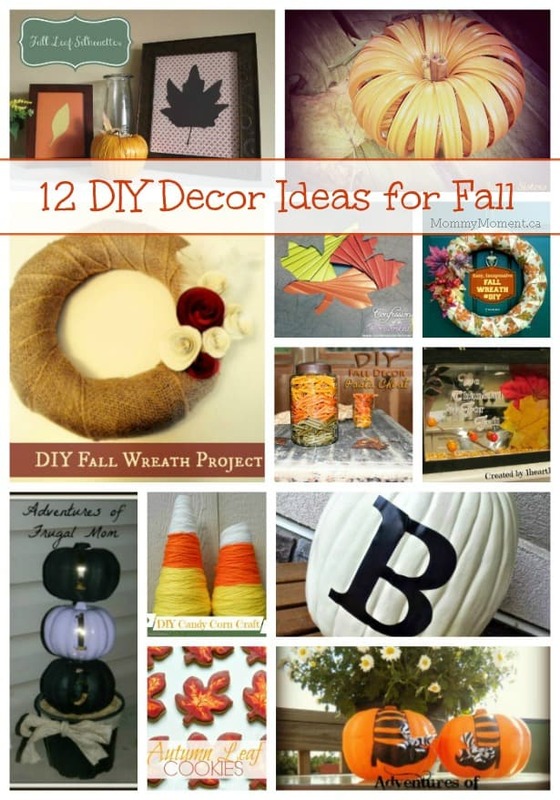 I love these fall ideas for the mantel.I think the painted pumpkins are pretty nice too. I love all these ideas. I particularly love using natural materials for fall décor. Oh My – Have you ever given me some great ideas! I have most of these materials right here…must get started! !